Disney Hyperion, 2018. 40 pages. Before I looked at the copy of this book that had come to the library for me, I heard my co-worker laughing over it in the next cubicle. We ended up getting everyone else in that section of the office to read it. The tone and pictures are brilliant. Penelope Rex was nervous. It’s not every day a little T. rex starts school. Penelope Rex was very surprised to find out that all of her classmates were CHILDREN! The picture of the angry children covered in drool and digestive juices is delightfully disgusting. More pictures as Penelope tries to make friends show things like waiting at the bottom of the slide – with her mouth open. Penelope starts to notice that the other kids don’t want to get near her. No problems-at-school book would be complete without a conversation with the parents. The next day, a lesson comes for Penelope in an unexpected way. This book is too much fun! 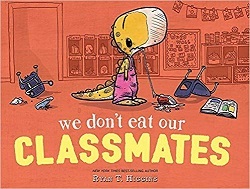 In fact, I’m sad that it came in one week after we finished booktalking this year. It’s already going on my list for next year. Very silly. Very fun. There’s nothing quite like a picture book that makes you laugh out loud. Grace Publishing, 2018. 197 pages. I was leery of reading this book. The author comes across on Facebook as unduly angry. (I think he would say that he is properly angry.) I’m a universalist who attends an evangelical church, and I would like to think they are not so bad as the “conservative Evangelical churches” he rails against. I do love that they did not make me sign a statement of faith when I joined the church, but only asked me if I had accepted Jesus as my Lord and Savior. (I have.) They knew I’m a universalist and let me join anyway. At times, the pastor has gone out of his way to make it clear that there is no one “Christian” political view. We are a community of people who love Jesus and are trying to follow Him together – and a wide variety of political views, and, yes, even theological views are included within our body. I don’t agree with every point of doctrine in Chris Kratzer’s book, either. But to be honest, my views seem to agree at many more points with his than they do with standard evangelical teaching, even at my own church. So I appreciated how his teaching applies those beliefs to life – and points out where evangelical theology can trap you into not living a grace-filled life. And things to watch out for. I’m afraid that my church, which I’ve always loved for not claiming to have the final answer on every matter of faith and conduct, for acknowledging that Christians disagree on political issues and are still Christian – is contemplating adding a “Christian Living Statement” to the bylaws that would claim some things are sinful that I strongly do not believe the Bible teaches are sinful. I think that policy would exclude and condemn people the Lord does not condemn. 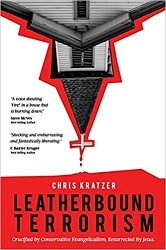 And it would bring us closer to the pitfalls Chris Kratzer points out in this book. But back to the book. What the author is condemning in conservative evangelicalism is the spirit of condemnation as opposed to Grace. That sounds contradictory – but it lines up with the one thing Jesus called people out for – religious leaders tying up heavy loads and placing them on people’s shoulders. Religious leaders saying they knew the only way to God and pointing out other people’s sins. Jesus partied with tax collectors and sinners. Sure, he told the woman caught in adultery to go and leave her life of sin, but he wasn’t the one who dragged her before a group of judges. Mary Magdalene had seven demons cast out of her. She was an unsavory character – whom Jesus loved. Wait, I was going to get to talking about the book! The author tells the story of his life, including a difficult childhood in and out of the hospital with asthma, being sexually abused, and having an impossible-to-please father. As an adult, he became a conservative evangelical pastor. Just color within the lines, give the proper responses, think and believe the right things, fight the good fight of faith, and I, too, could become “successful” and satisfactory for Jesus. Perhaps then, both my father on earth and the Father above could finally love me – perhaps, then, even I could finally love me. The ultimate trifecta of acceptance and approval was just an Evangelical “to do” list away, all leading to a position seated high above the world upon which to feel good about myself through a subtle looking-down upon others. It was all so righteous and perfect – so it seemed. I have to say that even in a “good” evangelical church, those are exactly the temptations – “to do” list Christianity, thinking you have to do certain things or at least believe certain things to keep God from being mad at you. And then a subtle self-righteousness as much as you manage to do/believe those things. People were now projects, Jesus was the springboard to my success, church was a platform upon which my ego could overcome my insecurities, and faith was an appearance that I hoped would convince me that I was something valuable when, deep down, I ultimately believed I was not. This is the poison I thought was the cure. He noticed something was wrong when a lesbian woman came to him for help. She had been brutally condemned by nearly every person and spiritual entity in her life, and was grasping at my counsel for one last ray of hope. Yet, with every conservative Evangelical prescription and pre-packaged talking point that vomited off my lips, it all fell flat and reeked of death, leaving this beautiful person all the closer to giving up as the fading light behind her eyes was now all but snuffed out. What was “biblical” in Evangelical eyes, brought death to hers. In a way like never before, the alarms went off inside of me, “Something is seriously wrong, this is not what I signed up for.” This whole, “hate-the-sin, love-the-sinner” crap was showing itself to be nothing like Jesus. Broken people didn’t cringe at His presence and leave defeated; instead, they clung to His every being and walked away with affirmation, freedom, and unstoppable courage. The cat was out of the bag, and I could no longer deny it – the more conservative an Evangelical I became, the less I portrayed Jesus…. All that time, I thought I was helping people when, in fact, I was imprisoning them – declaring a mixed Evangelical gospel of conditional love that is, in fact, no Gospel at all (Galatians 1:6-7). All, while sentencing countless God-adorned people to a fear-driven, empty life of sin-management, God-appeasement, and people-judging. This is where I agree with him. I believe that God does NOT need to be appeased. I believe that God does NOT require payment before He forgives. He forgives us because He loves us. When Jesus came to show us what God is like, humans killed Him – and He showed us that God loves and forgives, even then. All that time, I thought I knew love and how to give it, when, in truth, I knew nothing of it – receiving it, living it, sharing it. I thought loving people required doing so with careful restraint for fear you might extend too much grace and affirmation, or worst of all, catch their disease. Constantly pumping the brakes with people by restricting my love and qualifying His was indeed an unpleasant endeavor that never felt settled in my spirit. Yet, for so long, I believed that was the full extent for which God loved me – all at a safe distance, riddled with fine print. He had a transformative experience, though, when he was in a dark place. For the first time in my adult life, I encountered Grace – unconditional, irrevocable, unremovable, pure, undiluted Grace. It wasn’t a theology, philosophy, or new way of thinking; it was a person – Jesus. So much of what I thought and was taught was true of God, actually wasn’t. He wasn’t angry, condemning, judging, scorekeeping, disappointed, nor dismayed. He didn’t care about anything else but loving me – nothing. There was no follow up, no fine print, no bait and switch, no add-ons nor requirements. Love was “It,” the whole thing, from beginning to end – not my love for Him, but His love for me. That’s all there was, that’s all that was needed…. For sure, it didn’t happen overnight, but in a way and at a depth like never before, I tasted and saw that God was indeed good, really good, better than I ever imagined, far beyond the capacity of my Evangelical mind to conceive. I didn’t have to rationalize Him, overlook a conservative Evangelically imposed case of divine schizophrenia placed upon Him, nor prop Him up with talking points that dance around people’s doubts. He was truly good, through and through, and needed none of my conservative Evangelical snake oil to do His bidding. And best of all, now the goodness that is me, that has always been good, whole, and pure – goodness that had long been denied and imprisoned, was suddenly given freedom to live. I was alive for the first time, breathing for the first time, loving for the first time, and allowing myself to be loved for the first time. Salvation had come – Jesus is enough, I am enough, love is enough – period, full stop. I was a man awakened by Grace in just the nick of time. Everything that truly matters began its beginning, and everything else that doesn’t, started its ending. The rest of the book is mainly about getting that message of Grace across. Hear me, and hear me well. Whatever sense of condemnation, shame, disappointment, or lack you have towards yourself (or others), it does not come from God – it can’t. Run from any message that puts any conditions, any hell, or any distance between you and Him. Contrary to what is largely taught throughout American Christianity, all of these are constructs of religious projection and sure poison to the soul…. God is Love from top to bottom, beginning to end – inside and out. The expanse of God who is Love is boundless, limitless, unrestricted, and unrestrained. His actions and reactions to every molecule and movement of your life is always Love. God is pedal-to-the-metal in love with you – always has been, always will be. He says that the Gospel is about Grace, not about Repentance. And I so agree with him about this! See, the truly good news is that our unconditional, irreversible inclusion in Christ with all its benefits is the gift – there’s nothing to receive, only everything to believe. When Jesus said, “It’s finished,” He meant it. Faith is simply awakening and resting fully in this Truth – realizing it’s never been about our performance, but always about His. Any “repentance” and relational aspects of Scripture must be understood, not as admonitions for our required response, but as cues to awaken to the fullness and sufficiency of Grace that is already ours, completely and irrevocably. This difference changes everything, and makes the Gospel truly good news. His message – and I agree with this, too – is that condemnation is not from God. To think that I no longer had to prequalify people for love (including myself) and spiritually police the world with conditions and condemnation, brought an emancipation to my heart that was freeing me from the slavery of conservative Evangelical religiosity. Evangelicals seem to be obsessed with sin – and he has some pointed things to say about how they would act if they were truly concerned about sin. First, conservative Evangelical Christianity would be aggressively focused on their own sin, not the perceived sins of others…. Second, conservative Evangelical Christianity would be communicating far more Grace and kindness. In fact, conservative Evangelical Christians would be ascribed as undeniably being the kindest most gracious people on the planet, trumpeting the message of the pure Gospel of Grace at every opportunity – knowing and teaching that, “It is God’s kindness that leads to repentance,” and “It’s the Grace of God that teaches us to live rightly.” Sin would be taken so seriously that pure Grace would be valued as the only solution…. Third, conservative Evangelical Christianity would be truly and completely trusting the Spirit. For the Christian calling isn’t to change people, but to love them unconditionally while the Spirit does what only the Spirit can do. In the presence of perceived sin, conservative Evangelical Christians would be doing everything possible to get out of the way of the Spirit and to doubly make sure they didn’t serve as a detriment or distraction to the Spirit’s work. They would be so sensitive to this movement in people’s lives that to potentially err on the side of thwarting God’s transformative hand through fostering false guilt, shame, and condemnation, would send shivers down their spine, causing them to value restraint above all else – if it was all about sin. And finally, conservative Evangelical Christianity would be unconditionally serving and loving to the extreme. In fact, conservative Evangelical Christianity would be declared the greatest friend a person could have, especially those labeled as “sinners.” The way conservative Evangelical Christians generously served, put their needs aside, and extravagantly loved people who have been marginalized, condemned, and demonized would be so world-renowned that people might become attracted to engage in sin or experience religious oppression just for the overwhelming love and selfless serving they would receive in response from conservative Evangelical Christians. In a Christian church-world where there are over 30,000 denominations who read the very same Bible you do, and come to thousands of different belief-conclusions on major theological issues; in a Christian church-world where elective misunderstanding and ignorance are seen as legitimate positions instead of serious problems; in a Christian church-world where there are countless, growing numbers of biblical scholars with the same love for Jesus, submissive heart for Scripture, and tenacity for Truth as you, who see the Bible as affirming LGBTQ people, not condemning them; maybe, just maybe, the real reason you believe being gay is a sin is because – you want to. It’s not the Bible saying so, it’s you saying so. In fact, if one can be faithful to the sacred Scriptures and yet come to an LGBTQ-affirming view (which you can) instead of condemning, demonizing, and abusing a whole God-adorned population of humans, why wouldn’t you? Maybe, just maybe, the real reason is because – you don’t want to. So, as difficult, foundation-shaking, and faith-unraveling as this question could potentially be, I’m still going to ask it – what if hell is nothing like you think? What if hell (if a place at all) is actually just as Jesus alluded, a literal place (Gehenna) located in Jerusalem, associated with the valley of Hinnom that was used as the city dump where a fire was constantly kept to burn up and consume all of the city’s unwanted junk? In fact, the word Gehenna occurs 12 times in the Greek Manuscripts of the New Testament, each time being mistranslated to mean “hell” in several versions of the Bible, even though Jesus used it as a clear reference to a city dump. What if the single word “hell” we use today and associate as “hell” (a place of fiery, eternal torture) is actually not found in the Bible – anywhere, and in no manuscripts? It’s true. What if hell is the experience of religious-hearted people who despise the pure Grace of God and His unconditional love and inclusion of all people into Himself and the Kingdom? In the eternal presence of the white-hot love of God forever flowing out as a river from His throne (Daniel 7:10), their souls are scorched with frustration, rage, and torment as their self-righteousness, conditional love, and religious arrogance, bigotry, and intolerance are exposed – stripped, and rendered powerless and evil. For the same Grace and love that will be experienced as heaven by many will be a sure, torturous hell for some. Jesus forever flips over the tables, yet again, and those whom religion joyously sends to the curb are given a prized seat of bliss, and those whom religion gives elite privilege are found to be pouting and wallowing forever in religious disgust. What if Jesus didn’t die to forgive us, but to manifest to the world that God already had, long ago in the realm of eternity? What if God isn’t schizophrenic after all – harboring unconditional love for humanity one moment and eternal hate the next? What if the truth is, you can’t reject Grace – you can’t stop its presence, pursuit, favor, or blessings over your life or that of any other, you can only love it or resist it? Loving, believing, trusting Grace fills your life with heavenly rest. Not loving, believing, and trusting Grace fills your life with a hell of frustration, self-righteousness, bitterness, religiosity, judgmentalism and angst – as long as you desire. For so long, my conservative Evangelical faith required me to pump the brakes on loving her, and to make sure I kept a safe distance. Any bit of love that I might send her way must be packaged with conditions and restrictions, lest she be led astray. Yet, I’ll never forget the moment. It felt like the heavens did open this time when I realized I could love her without restraint or restriction, my heart was finally free. I knew in that moment, in a way like never before, that Jesus truly lived within me. For no one loves like Jesus until they love without conditions, restrictions, or restraints. Isn’t this what your heart has been longing for, to feel the full force of Jesus living through you? There’s a wonderful scene where he explains what happened with his teenage son. I think it beautifully symbolizes what we think God the Father is like toward us. It didn’t work out all that well. But it wasn’t long after that when Chris Kratzer had a change of heart. One evening, with a fresh new heart and perspective, I summoned Harrison into the kitchen. I grasped the covenant off the refrigerator and tore it in half, throwing it onto the floor. I told Harrison, there will be no more punishment, conditions, nor condemnation. “We love you, and that’s the beginning and end of all that matters.” I impressed upon him my sincere apologies for being such a grace-less dad, and asked for his forgiveness. He was free to choose the course of his behaviors, not out of fear of punishment or obligation to a set of rules, but because He is loved and deserves the blessings of choosing well. You could see the surprise in his eyes and a new countenance wash over him. I kid you not, from that day forward, his heart, attitude, and behavior forever changed for the better. That anecdote makes me wonder, Why, why, why do we think that “calling out sin” will help people come out of it? Yes, it’s true, there is a Gospel that is devoid of fiery judgment, religious condemnation, guilt-trips, “to-do” lists, love-prequalifying, and people-shaming. There is a Gospel where everyone is deemed equal, affirmed, included, and eternally loved and valued. There is a Gospel absent of an angry, vengeful God who requires the murder of His Son and the proper religious responses of His creation in order to forgive and save humanity. There is a Gospel where God loves unconditionally, because that’s who He is and can do no other. There is a Gospel that stands against all violence, abuse, and idolatry, and, yet, in all these things, is no less biblical. This Gospel is not a fad, a new theology, or some wayward heresy – it’s a person, and that person is Jesus who is pure Grace. Sonderling Sunday! The Party Was Over. Believe it or not, it’s time for Sonderling Sunday! Sonderling Sunday is that time of the week when I play with language by looking at the German translation of children’s books. But you may well ask, Sonderling Sunday, where have you been? Hasn’t it been almost a year since your last post? That’s right — it’s been far too long. 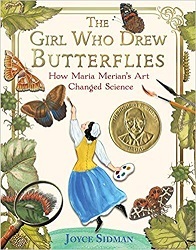 But in case you hadn’t heard, last year I had this little activity of being on the Newbery Committee and basically that was eating up every minute, forcing me to read children’s books whenever I could find the time. (I know, twist my arm!) But one very good thing that did go by the wayside was Sonderling Sunday. And I didn’t even manage to finish going through Der Orden der Seltsamen Sonderlinge before I went on hiatus! 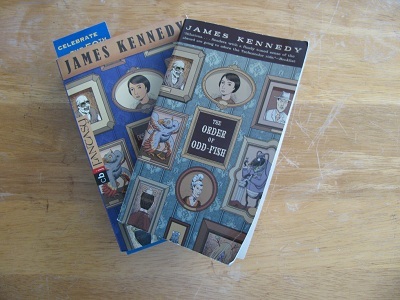 This book, with the original title The Order of Odd-fish, by James Kennedy, is the book that started it all. And I am so close to the end! Last time we left off on page 334 in the original edition, Seite 424 auf Deutsch. There are some fun ones on this page. Surely you can find a reason to say these things, right? “you hit the nail on the head!” = Sie haben den Nagel auf den Kopf getroffen! “You got us that time, I’ll give you that!” = Sie uns aber wirklich drangekriegt, das muss ich Ihnen lassen! “What have you done to them?” = Was haben Sie mit ihnen gemacht? = Sie biss sich auf die Innenseite der Wange. = Der Party war vorbei. That’s all for tonight, and I must say, it’s good to be back! One of the things that I think is so much fun about this pseudo-phrasebook is that we’ve gone through almost the entire book — and I’m guessing I haven’t given away the plot at all. I have given away how much James Kennedy likes to play with language, though. Here’s wishing my readers a Kni-Kna-Kno-Knüller of a week! Carolrhoda Books, 2018. 441 pages. Wow. 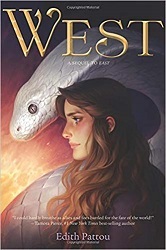 Most of my readers know I love fairy tale retellings – this is a wonderful one, completely pulling me into the fantasy world, getting my very heart beating along with the protagonist, who tried to be silent for six years. 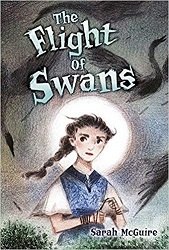 The fairy tale it’s retelling is the Grimm tale, “The Six Swans.” That was never my favorite fairy tale – but I think it’s interesting that my favorite fairy tale retelling for adults, Daughter of the Forest, is based on the same tale. This version is written for children, and doesn’t have quite as brutal things happen to the silent sister, but it’s equally powerful. I reread the fairy tale after reading this book, and almost wish I hadn’t. 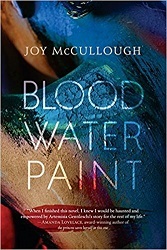 The author retained the main elements – six older brothers turned into swans by the witch who enchanted and married the princess’s father, and she has to stay silent for six years, while knitting them shirts made out of nettles. But oh! The way she tells the story! I want to start reading it all over again. I’m actually a bit resentful that I need to keep reading other books. 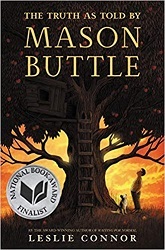 But the Newbery process being what it is – I know that I will read this book more times, and that’s a comfort to me. Okay, I should tell about the book, not just rave about how good it is. The exile of the princes of Lacharra didn’t begin with swords or spells. It began inside the castle kitchen with a quest for cloves. Cooks mistrust anyone with empty hands, so I darted to the nearest table and snatched up a bowl of chopped leeks. Then I shouldered between scullery maids and undercooks as I moved toward the spice pantry. Then I remembered last night: Rees, the stable master, and the stable boy being beaten while Father looked on with empty eyes. Something had happened to Father in the forest. He never would have allowed a beating for violating such a small edict, even if the woman he’d married had issued it. Whatever she banned must be important – even if it was something as simple as cloves. Andaryn secures some cloves and brings her father out of the enchantment – for a little while. But the Queen comes upon them together and quickly destroys Andaryn’s efforts. When Andaryn breaks the glamour her six older brothers feel for the Queen, her victory doesn’t last. The Queen locks them up, burning down the oldest brother’s castle with the brothers locked in the dungeon. Andaryn bargains for their lives with her silence. Finally, she spoke. “It would be a great sacrifice to release your brothers. I would expect something great in return: one year of silence for each of them. Not a word spoken,” she raised a finger, “and not a word written, either, for a word that’s written can be spoken. The moment you consent is the moment they are free. Andaryn consents, and the Queen does set them free – but turns them into swans. They will take human form again only on the night of the full moon each month. And so begins Andaryn’s journeys, in silence. It turns out it’s not enough to find a place to shelter, because the Queen sets otherworldly Huntsmen out after her. The journeys aren’t as solitary as in the fairy tale, for her oldest brother’s wife accompanies Andaryn for some of the years. And there is a child to tend, as in the fairy tale – but the baby is her oldest brother’s son, the heir of the kingdom. And yes, the princess is discovered by the king of another country, but she still can’t speak. Andaryn starts out as a 12-year-old determined princess. She ends the book as an 18-year-old young lady who has learned to be strong as steel through her suffering. A magnificent story. This year, I’ve got to explain myself. Most years I post my Stand-outs from all the books I read the previous year on January 1st. 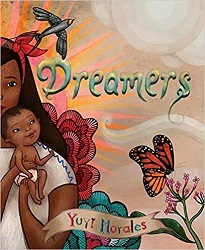 But this year, I was on the 2019 Newbery Committee, and could not say one word about eligible books online until after our announcement was made. I did, however, make my list of stand-outs on January 1st. So this list was made before I had discussed any books with the committee or even reread very many — after which, I gained new appreciation for many of them and noticed new drawbacks in others. Thus, the opinions are mine and mine alone. And I was only one-fourteenth of the committee. Also, please don’t think that you can figure out from this list which books I nominated or voted for when the committee met. I’m making absolutely no claim that these books are the most distinguished books of 2018. These are simply my personal favorites after a year of reading — the books that stood out in my mind after reading like never before, and the books that won a place in my heart, even though they might have some flaws that would keep them from being declared to have the most literary merit. I’m posting more Stand-outs this year than ever before. That’s because I read more books than ever before! In fact, I made more categories than ever before, the better to honor more books. I’m of the Spread the Book Love Around persuasion, so I like to honor lots of books — but this is still only a small fraction of the books I read this year. So you can see I’m actually being very choosy in naming all these Stand-outs! And I highly recommend every single one of these books. Here’s the list of 2018 Sonderbooks Stand-outs! Of course, not all the books will be reviewed on the day I post this, since I also couldn’t post any reviews until after our announcement was made. My plan is to keep posting reviews of these books until I have them all posted — then start in on posting 2019 reviews, but fill in with 2018 reviews as needed. Since I have 314 reviews of 2018 books not yet posted (That was how I took notes on the first reading of books), I will not lack for reviews for a long time to come! So if you want to read reviews of all these Stand-outs, just keep checking back for the next few weeks. I think you’ll find books you’ll enjoy very much! You are currently browsing the Sonderbooks blog archives for February, 2019.